Justin Timberlake had to bow out of recent shows in Edmonton and Vancouver due to bruised vocal cords, but he's rescheduled those dates and even added a new Canadian stop. 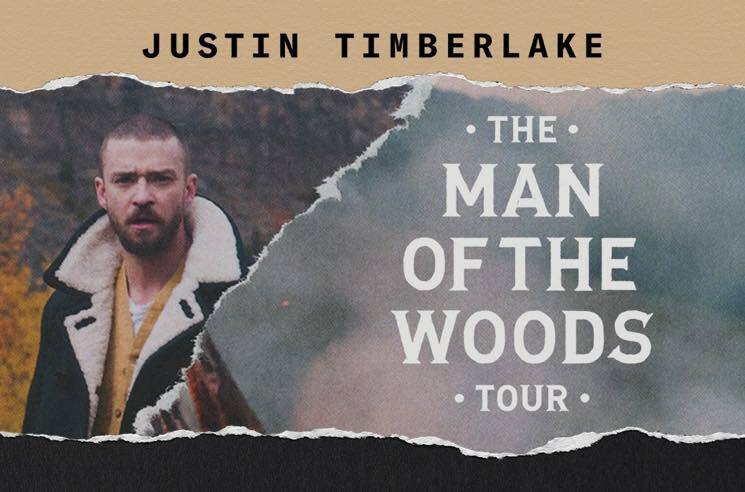 Timberlake will bring his "The Man of the Woods Tour" to Winnipeg's Bell MTS Place on February 4. Tickets for the newly added show go on sale at 10 a.m. local time next Monday (November 26). The Winnipeg date will be followed by rescheduled shows in Edmonton on February 6 and 7 and, shortly thereafter, rescheduled shows in Vancouver on February 14 and 15. Tickets for the previously scheduled events will be honoured at the new dates in both Edmonton and Vancouver. See Timberlake's upcoming itinerary below.